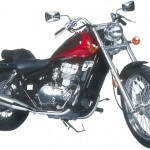 Looking for Motorcycle Insurance in Lake Charles? You can trust the insurance professionals at the Jeff Davis Insurance Agency for the best motorcycle insurance in Louisiana! Call 337-824-4455 to speak with our one of the knowledgeable agents and we can help you find the insurance coverage you need no matter what type of motorcycle you own. 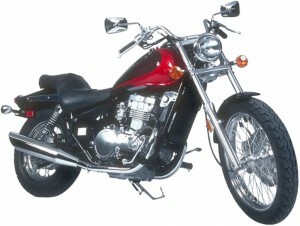 The Benefits of Calling Us First for Motorcycle Insurance in Lake Charles. 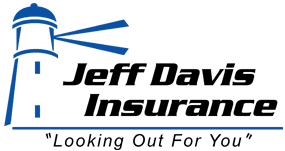 Different from your average agency, the Jeff Davis Insurance Agency is an independent insurance agency and as such, we are not limited to promoting only one insurance company. We shop the market for best rates and coverage for you. Insurance agencies representing companies such as GEICO, Progressive Direct, and State Farm are captive insurance agents and can only offer rates and coverage given through the company they represent. Unlike captive insurance agents in Lake Charles, we represent many of the top companies offering motorcycle insurance in Louisiana! Just as there are no supermarkets offering the guaranteed lowest pricing for groceries all the time, likewise, no single insurance company consistently provides the best pricing for everyone’s needs. Why Motorcycle Insurance Varies Greatly in Price From Company to Company. Each insurance carrier sets price points they feel will help them earn profits. Some insurance companies offer competitive rates for riders over 50, while other companies specialize in insuring younger drivers. For this reason it’s best for Jeff Davis Insurance to help you find the best coverage and prices on motorcycle insurance in Louisiana. How Can You Save Money on Motorcycle Insurance? First of all it would be a good idea to invest in a motorcycle safety course. Many companies offer large discounts when you receive your safety course certificate. You can call our office to learn which courses are best for motorcycle insurance discounts. Next it would be a good idea to find out what your motorcycle insurance will cost prior to purchasing your bike if possible. The worst time to learn that the cheapest motorcycle insurance rates you can find are more than your bike payment is after you have already purchased your ride! Call the Jeff Davis Insurance Agency for the Best Lake Charles Motorcycle Insurance Rates! Our representatives are standing by during normal office hours to help you find the best options for motorcycle insurance in Louisiana. Call 337-824-4455 today to find the best options.